Join us for our second season of Circle Time Magazine (CTM); a unique professional development series that offers a web-based talk show, magazine, and online resources with each episodes. This season addresses key PBS practices that promote children’s healthy social and emotional development and increase positive behavior. Learn about the fundamental importance of building trusting relationships and designing supportive environments, gain strategies for improving children’s emotional literacy and problem-solving skills, and increase your ability to provide intensive support for children with ongoing or severe behavior. 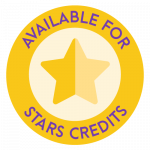 STARS Credit is offered with each episode when you take the accompanying Knowledge Check. Start watching now! Introducing our partnership with Seattle Public Libraries for this season of Circle Time Magazine. Use this tool to find your local library and access a wide variety of materials to foster a caring community and the social and emotional development of young children. with this collection of additional reading on the main topics of each episode. Website: Reference this tracker to see if children are reaching milestones in how they play, learn, speak, act, and move. Use the information to help establish developmentally appropriate goals and behavior expectations for young children. PDF: This statement shared by the Division for Early Childhood (DEC) from the Council for Exceptional Children provides a rationale for emphasizing the social and emotional development of all children and outlines practices that promote positive behavior and inclusion rather than punitive responses to challenging behavior. 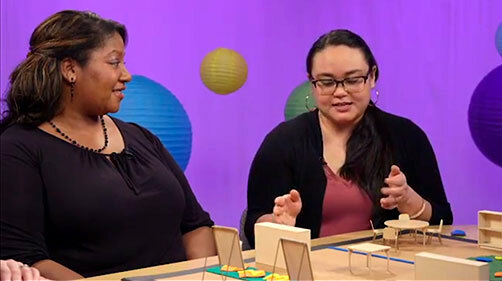 Website: Here, the National Center for Pyramid Model Innovations walks you through the basics, tiers, research, and resources related to the Pyramid Model for Supporting Social Emotional Competence in Infants and Young Children. PDF: In this handout, the pyramid framework is highlighted as an effective approach to address the social and emotional development and challenging behavior of young children. The different levels of practice included in the pyramid framework are explained in detail. a brief reference tool that you can use while engaging in the content of the season. PDF: This glossary calls out and defines many of the key terms related to Positive Behavior Support (PBS) and Social and Emotional Learning (SEL) that we use throughout the season. with these resources to increase your self-awareness and address unconscious biases that are likely to be impacting children in your program. PDF: This critical and highly regarded research sheds light on the disproportionate expulsion of children who are Black, especially Black boys, and the bias that lies behind this adult behavior. Expelled in Preschool, What’s Behind the Numbers? Video: In this video, Dr. Walter Gilliam, provides a clear translation of the data showing the expulsion rate of young children in school and child care centers. Video: Listen to Claire Lerner, Senior Parenting Advisor at ZERO TO THREE, share a scenario of two responses to the same child showing challenging behaviors. In one, the child is expelled, and in the other, the child is guided with empathy, caring, and Positive Behavior Support. PDF: This fact sheet, by the National Center on Early Childhood Health and Wellness, summarizes important information early childhood educators need to know concerning preschool expulsion and its impact on children and families. and improve your practice by engaging in these activities designed to help you put your knowledge into practice. Website: Take this test to see implicit associations you might have about race, gender, and other topics. PDF: Track your own behavior to see if all children are getting the positive attention that they need from you and the other adults in their learning environment. TRANSLATION NOTE: Please be aware that there might be slight discrepancies and minor differences between the posted, printed, or electronic text in English and the corresponding Spanish translation, due to the editing and updating of the different versions.